The Southwest Catalysis Society (SWCS) Award for Excellence in Applied Catalysis will be presented at its Spring Symposium (April 25) to Dr. Heiko Weiner, Principal R&D Chemist, Celanese. Heiko’s important work on the hydrogenation of acetic acid to ethanol and ethyl acetate has been applied commercially in 2012 and a second commercial plant is expected online soon. Heiko’s work was completed at the Celanese Clear Lake, Texas office in the SWCS region, and followed the catalyst discovery and development process from high throughput screening, optimization, scale-up and all the way through to commercialization. The award includes a $1500 cash prize as well as an invitation to present a keynote address at the 2015 SWCS Spring Symposium. Published on April 10, 2014 . Posted in News. The Catalysis Club of Chicago is pleased to announce that Dr. Haiying Chen (Johnson Matthey) is the recipient of the 2014 Herman Pines Award in Catalysis. This Award is given to recognize Dr. Chen’s significant contributions to the advancement of environment catalysis and technology. Dr. Chen’s research has led to the discovery and successful development and commercialization of (1) small pore molecular sieve supported transition metal catalysts for the Selective Catalytic Reduction (SCR) of NOx with NH3; (2) NOx adsorber catalysts for heavy duty diesel emission control; and (3) sustainable technologies for the control of volatile organic compound (VOC) emissions from industrial processes. In addition, his research has led to the development of low temperature emission control technologies to meet future emission standards. Dr. Chen has been invited to give lectures at various universities as well as on national and international scientific meetings. He has published 13 patents and over 50 publications. 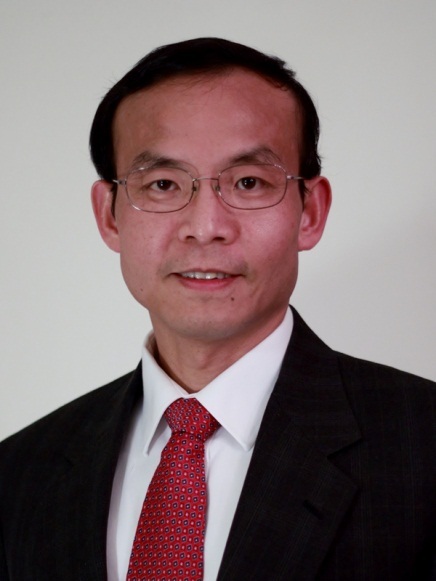 In addition, Dr. Chen has served the catalysis community in several leadership roles. The award includes an honorarium ($1,000) and a plaque. Dr. Chen will receive this award and deliver the Award address at the Catalysis Club of Chicago Spring Symposium on May 13, 2014 at the BP Research Center in Naperville, IL. Published on April 10, 2014 . Posted in Award, News. WASHINGTON (February 6, 2014) — The National Academy of Engineering (NAE) has elected 67 new members and 11 foreign associates, announced NAE President C.D. (Dan) Mote Jr. today. This brings the total U.S. membership to 2,250 and the number of foreign associates to 214. Abbott, Nicholas, John T. and Magdalen L. Sobota Professor, and director, Materials Research and Engineering Center, University of Wisconsin, Madison. For innovations and applications in soft-matter surface science. Allcock, Harry R., Evan Pugh Professor of Chemistry, Pennsylvania State University, University Park. For development of polyphosphazenes, a new class of biomaterials. Allebach, Jan P., Hewlett-Packard Distinguished Professor of Electrical and Computer Engineering, Purdue University, West Lafayette, Ind. For development of algorithms for digital image half-toning for imaging and printing. Arvizu, Dan E., director and chief executive officer, National Renewable Energy Laboratory, Golden, Colo. For leadership in the renewable and clean energy sectors, and for promoting national balanced energy policies. Atkins III, Daniel E., W.K. Kellogg Professor in Community Information, School of Information; professor of electrical engineering and computer science, College of Engineering, University of Michigan, Ann Arbor. For leadership in development of radix algorithms and cybertechnical collaborative systems. Baker, James K., consultant; and co-founder and former chairman and chief executive officer, Dragon Systems, Maitland, Fla. For introducing hidden Markov models to speech processing and applications to commercial speech-recognition systems. Balser, Martin, distinguished technical fellow, Northrop Grumman Information Systems, Woodland Hills, Calif. For contributions to the U.S. Navy’s capabilities in acoustics and fluid mechanics. Banks, M. Katherine, vice chancellor, dean of engineering, and Harold J. Haynes Dean’s Chair Professor, Texas A&M University, College Station. For contributions to phytoremediation of petroleum contamination, and for leadership in engineering education. Barrett, Harrison H., Regents’ Professor of Radiology, Regents’ Professor of Optical Sciences, and Regents’ Professor of Applied Mathematics, University of Arizona, Tucson. For contributions to the physical and statistical foundations and applications of radiological and nuclear medical imaging. Bernstein, Howard, chief scientific officer, Seventh Sense Biosystems Inc., Cambridge, Mass. For development of commercial nanotechnology products for therapeutics and diagnostics. Bethell, Peter J., senior process consultant, Arch Coal Inc., Scott Depot, W.Va. For contributions to advanced separation technologies for coal processing. Board, Mark P., corporate director of geotechnical engineering, Hecla Mining Co., Coeur d’Alene, Idaho. For contributions to the design of large-scale mines based on application of advanced rock mechanics principles. Boroyevich, Dushan, American Electric Power Professor of Electrical Engineering, and co-director, Center for Power Electronics Systems, Virginia Polytechnic Institute and State University, Blacksburg. For advancements in control, modeling, and design of electronic power conversion for electric energy and transportation. Boston, Terry, president and chief executive officer, PJM Interconnection, Norristown, Pa. For leadership in development and operation of large electric grids and markets for wholesale electricity. Boulos, Paul Fares, president, chief operating officer, and chief technical officer, Innovyze, Broomfield, Colo. For contributions to theory and practice of computational hydraulics simulation technology for water infrastructure. Boyd, Stephen P., Samsung Professor in the School of Engineering; and professor, Information Systems Laboratory, department of electrical engineering, Stanford University, Stanford, Calif. For contributions to engineering design and analysis via convex optimization. Braun, Robert D., David and Andrew Lewis Professor of Space Technology, and co-director, Space Systems Design Laboratory, Georgia Institute of Technology, Atlanta. For contributions to space exploration and technologies for entering planetary atmospheres from space. Briskman, Robert D., co-founder and technical executive, Sirius XM Radio, North Bethesda, Md. For achievements in satellite communications, culminating in Sirius XM Radio. Carbonell, Ruben G., Frank Hawkins Kenan Distinguished Professor of Chemical Engineering, North Carolina State University, Raleigh. For research and innovation in multiphase reactor design, high-pressure thin-film coating, and novel bioseparation processes. Chan, Tony F., president, Hong Kong University of Science and Technology, Kowloon. For numerical techniques applied to image processing and scientific computing, and for providing engineering leadership at the national and international levels. Cramb, Alan W., provost, senior vice president for academic affairs, and Charles and Lee Finkl Professor of Metallurgical and Materials Engineering, Illinois Institute of Technology, Chicago. For contributions to development of high-integrity continuously cast steels. Daganzo, Carlos F., Chancellor Professor of the Graduate School, and retired Robert Horonjeff Chair in Civil and Environmental Engineering, University of California, Berkeley. For engineering contributions to traffic, transportation, and logistics systems and operations. Davari, Bijan, IBM Fellow and vice president, Next Generation Computing Systems and Technology, IBM T.J. Watson Research Center, Yorktown Heights, N.Y. For contributions to scaling of CMOS technology. Dietrich, Brenda L., IBM Fellow and vice president, and chief technology officer for Business Analytics Software, IBM, Somers, N.Y. For contributions to engineering algorithms, frameworks, and tools to solve complex business problems. Eden, J. Gary, Gilmore Family Endowed Professorship of Electrical and Computer Engineering, University of Illinois, Urbana-Champaign. For development and commercialization of micro-plasma technologies and excimer lasers. Edgar, Thomas Flynn, George T. and Gladys H. Abell Endowed Chair in Engineering, department of chemical engineering, University of Texas, Austin. For contributions to mathematical modeling, optimization, and automatic control of chemical and microelectronics processes, and for professional leadership. Elghobashi, Said, professor of mechanical and aerospace engineering, University of California, Irvine. For contributions to understanding and modeling of multiphase turbulent flows. Ershaghi, Iraj, Omar B. Milligan Chair in Petroleum Engineering, and director, Petroleum Engineering Program, University of Southern California, Los Angeles. For contributions to characterization of complex fractured reservoirs, and for leadership in university-industry collaboration. Fagin, Ronald, IBM Fellow, IBM Almaden Research Center, San Jose, Calif. For contributions to theory and practice of data management. Fenves, Gregory L., executive vice president and provost, University of Texas, Austin. For contributions to computational modeling, creation of open source software for earthquake engineering analysis, and academic leadership. Ferrara, Katherine Whittaker, distinguished professor and founding chair, department of biomedical engineering, University of California, Davis. For contributions to theory and applications of biomedical ultrasonics. Flytzani-Stephanopoulos, Maria, Robert and Marcy Haber Endowed Professor in Energy Sustainability, Tufts University, Medford, Mass. For contributions to atomically dispersed heterogeneous metal catalysts for efficient production of fuels and chemicals. Halas, Naomi, Stanley C. Moore Professor in Electrical and Computer Engineering, Rice University, Houston. For nanoscale engineering of optical resonances and lineshapes. Hedrick, J. Karl, James Marshall Wells Academic Chair and professor of mechanical engineering, University of California, Berkeley. For analysis and control methods for nonlinear systems with application to practical problems. Hedrick, James Lupton, IBM Researcher, IBM Almaden Research Center, San Jose, Calif. For innovations in functional monomers and polymers for the microelectronics industry. Hopp, Wallace J., senior associate dean for faculty and research, Herrick Professor of Business, professor of technology and operations, and professor of industrial and operations engineering, University of Michigan, Ann Arbor. For creating and applying fundamental engineering principles governing the underlying behavior of manufacturing systems and supply chains. Joshi, Chandrashekhar Janardan, Distinguished Professor of Electrical Engineering, and director, Neptune Facility for Advanced Accelerator Research, University of California, Los Angeles. For contributions to development of laser- and beam-driven plasma accelerators. Jouppi, Norman P., distinguished hardware engineer, Google Inc., Mountain View, Calif. For contributions to the design of computer memory hierarchies. Joyce, David L., president and chief executive officer, GE Aviation, and senior vice president, GE, Cincinnati. For contributions in reducing emissions and fuel consumption of turbofan engines. Kish Jr., Frederick A., senior vice president, Optical Integrated Circuit Group, Infinera Corp., Sunnyvale, Calif. For contributions to high-brightness light-emitting diodes. Knatz, Geraldine, adjunct professor, Viterbi School of Engineering, University of Southern California, Los Angeles. 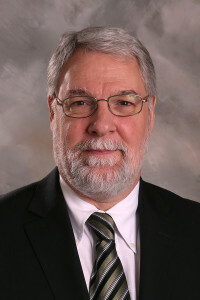 Krieger, Roger B., retired group manager, General Motors Research and Development, Birmingham, Mich. For contributions to engine research, advanced engine technologies in passenger vehicles, and leadership in engineering education. Luby, Michael, vice president of technology, QUALCOMM Inc., Berkeley, Calif. For contributions to coding theory including the inception of rateless codes. Michel, R. Keith, president, Webb Institute, Glen Cove, N.Y. For contributions to the design, construction, and operation of efficient, environment-friendly ships. Mistretta, Charles A., John R. Cameron Professor of Medical Physics and Radiology, University of Wisconsin, Madison. For contributions to development and application of angiographic methods in X-ray and magnetic resonance imaging. Moehle, Jack P., T.Y. and Margaret Lin Professor of Engineering, department of civil and environmental engineering, University of California, Berkeley. For contributions to earthquake-resistant design and analysis of building structures, and for leadership in engineering education. Mohan, Ned, Oscar A. Schott Professor of Power Electronics and Systems, department of electrical and computer engineering, University of Minnesota, Minneapolis. For contributions to the integration of electronics into power systems and to innovations in power engineering education. Mullen, Michael Glenn, retired admiral, U.S. Navy, Annapolis, Md. For applying engineering methods in developing and executing offensive and defensive strategies for the U.S. Navy. Novosel, Damir, president, Quanta Technology LLC, Raleigh, N.C. For innovations and business leadership in the security and reliability of electric power grids. Patt, Yale N., professor of electrical and computer engineering, Ernest Cockrell Jr. Centennial Chair in Engineering, and university distinguished teaching professor, University of Texas, Austin. For contributions to high-performance microprocessor architecture. Pawlikowski, Ellen M., commander, Space and Missile Systems Center, and program executive officer for space, U.S. Air Force, Los Angeles AFB, Los Angeles. For leadership in the development of technologies for national security programs including spacecraft operations and the Airborne Laser. Pentland, Alex (Sandy), Toshiba Professor of Media, Arts, and Sciences; and director, Human Dynamics Laboratory and Media Lab Entrepreneurship Program, Massachusetts Institute of Technology, Cambridge. For contributions to computer vision and technologies for measuring human social behavior. Pharr IV, George M., Chancellor’s Professor and McKamey Professor of Engineering, department of materials science and engineering, University of Tennessee, Knoxville. For development of methods for determining mechanical properties of materials by nanoindentation. Philip, Craig E., chief executive officer, Ingram Barge Co., Nashville, Tenn. For contributions in information technology and management innovation in the intermodal, rail, and inland waterway industries. Ramsey, J. Michael, Minnie N. Goldby Distinguished Professor of Chemistry, and director, Center for Biomedical Microtechnologies, University of North Carolina, Chapel Hill. For development of microfluidic technologies for analytical applications. Rexford, Jennifer, Gordon Y.S. Wu Professor in Engineering, department of computer science, Princeton University, Princeton, N.J. For contributions to the operational stability of large computer networks. Riley, James J., PACCAR Professor of Engineering, department of mechanical engineering, University of Washington, Seattle. For contributions in analysis, modeling, and computations of transitioning and turbulent phenomena. Schapire, Robert E., David M. Siegel ’83 Professor, department of computer science, Princeton University, Princeton, N.J. For contributions to machine learning through invention and development of boosting algorithms. Schutz, Bob E., Joe J. King Chair in Engineering and FSX Professorship in Space Applications and Exploration, University of Texas, Austin. For contribution to the use of Satellite Laser Ranging and Global Positioning System tracking to study earth system dynamics. Soled, Stuart L., distinguished research associate, ExxonMobil Research and Engineering Co., Annandale, N.J. For discovery and commercialization of new materials with significant environmental and economic benefits to society. Spencer, David Bruce, founder, chairman, and chief technology officer, wTe Corp., Bedford, Mass. For invention and entrepreneurship in materials manufacturing and recycling. Stafford, Thomas P., retired, U.S. Air Force; and consultant, Satellite Beach, Fla. For leadership in the development of rendezvous and docking technologies for the Apollo and Apollo/Soyuz programs. Stedinger, Jery R., professor, School of Civil and Environmental Engineering, Cornell University, Ithaca, N.Y. For statistical methods for flood risk assessment and optimizational methods for hydropower system management. Tzeghai, Ghebre E., global research and development director, Procter & Gamble Co., Mason, Ohio. For contributions to world health through the development and commercialization of dental care and personal hygiene products. Waitz, Ian A., dean of engineering and Jerome C. Hunsaker Professor of Aeronautics and Astronautics, Massachusetts Institute of Technology, Cambridge. For analysis of environmental effects of aviation enabling practical environmental regulations. Willson Jr., Alan N., distinguished professor and Charles P. Reames Chair in Electrical Engineering, University of California, Los Angeles. For contributions to the theory and applications of digital signal processing. Zones, Stacey I., consulting scientist, Chevron Energy Technology Co., Richmond, Calif. For contributions to molecular sieve catalysts used in commercial applications. Bimberg, Dieter, executive director, Center of NanoPhotonics, Technical University Berlin, Berlin, Germany. For innovations in nanomaterials, nanophysics, and nanodevices. Ciminelli, Virginia S.T., professor, department of metallurgical and materials engineering, Universidade Federal de Minas Gerais, Belo Horizonte, Minas Gerais, Brazil. For contributions in environmental hydrometallurgy, and for leadership in national and international technical collaborations. 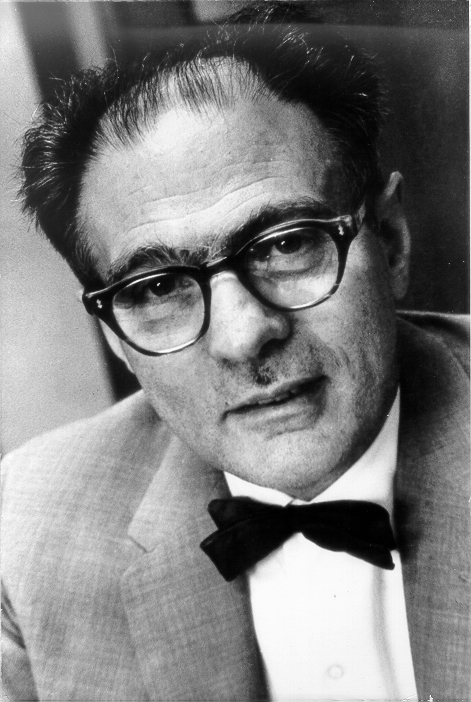 Fleck, Norman Andrew, professor of mechanics of materials, and director, Cambridge Centre for Micromechanics, University of Cambridge, Cambridge, U.K. For experimental and theoretical contributions to mechanical engineering of solids and structures. Gany, Alon, professor emeritus, Technion – Israel Institute of Technology, Haifa. For advances in the development of solid propellants for rockets and scramjets. Harel, David, William Sussman Professor of Mathematics, Weizmann Institute of Science, Rehovot, Israel. For invention of statecharts and contributions to the logic of programming. Mehlhorn, Kurt, director, Max Planck Institute for Informatics, Saarbruecken, Germany. For contributions to algorithm design and the development of the LEDA software library. Poulos, Harry G., senior principal, Coffey Geotechnics Pty Ltd., Cove West, New South Wales, Australia. For contributions to understanding foundation structure and ground support interactions. Romankiw, Lubomyr T., IBM Fellow, IBM, Yorktown Heights, N.Y. For innovation of thin-film magnetic head structures and electrochemical process technologies for microelectronics device fabrication. Samarasekera, Indira Vasanti, president and vice chancellor, University of Alberta, Edmonton, Canada. For mechanistic understanding of steel casting processes for improved productivity. Shoham, Moshe, Tamara and Harry Handelsman Professor, department of mechanical engineering, and head, Robotics Laboratory, Technion – Israel Institute of Technology, Haifa. For contributions to robotic technology for image-guided surgery. Zhang, Xingdong, professor and honorary director, National Engineering Research Center for Biomaterials, Sichuan University, Chengdu, China. For contributions to musculoskeletal medical therapies and biomaterial product development. Published on March 21, 2014 . Posted in News. I am pleased to announce that Dr. Paul Barger of UOP LLC, a Honeywell Company, is the recipient of the F.G. Ciapetta Lectureship in Catalysis, sponsored by the Grace Catalysts Technologies operating segment of W.R. Grace & Co. and the North American Catalysis Society. The Award consists of a plaque and an honorarium. The plaque will be presented during the closing banquet ceremonies at the 2015 NAM in Pittsburgh, PA. The recipient will present lectures at most of the affiliated Clubs/Societies during the two-year period covered by this Lectureship. The Award is given in recognition of substantial contributions to one or more areas in the field of catalysis with emphasis on industrially significant catalysts and catalytic processes and the discovery of new catalytic reactions and systems of potential industrial importance. Paul Barger has an established track record of championing new ideas and moving them effectively from evaluation, to catalyst development, and to commercialization. Over his thirty year career at UOP he has contributed to the discovery of catalytic phenomena and development of several catalytic processes of industrial significance. He has achieved this by sound technical insight, careful experimental design, and flawless execution as evidenced by the award of more than 55 U.S. patents. Paul is specifically recognized with the F.G Ciapetta Lectureship for his contributions to the development of the Methanol-to-Olefins (MTO) process from concept development to commercial offering. He was a leader of the joint MTO development effort between UOP and Norsk Hydro. A series of discoveries of SAPO-34 structure-function relationships, such as the correlations of product shape selectivity, hydride transfer and coking with acid site density and crystal morphology were keys in the development of this technology. The first of four UOP-licensed commercial units was successfully started up in September 2013. Paul has also led the development and commercialization of two naphtha reforming catalysts and a solid acid detergent alkylation catalyst and currently heads up UOP’s Proof-of-Principle Lab for the evaluation of ideas for new technology opportunities. I am delighted that the North American Catalysis Society has chosen to recognize the contributions of Dr. Paul Barger with this lectureship. I speak with the voice of our grateful community in also thanking the management of W.R. Grace& Co. for its continuing support of this lectureship. Published on January 30, 2014 . Posted in Award, News. The Catalysis Club of Chicago is soliciting nominations for the Herman Pines Award for outstanding research in the field of catalysis. Herman Pines was an outstanding research scientist, and his work revolutionized the general understanding of organic chemistry, particularly the chemistry of hydrocarbons interacting with strong acids. The Award in his honor is co-sponsored by UOP, where Herman Pines began his industrial career in 1930 and amassed 145 US patents, and by the Catalysis Club of Chicago of which Herman Pines was a founding member. 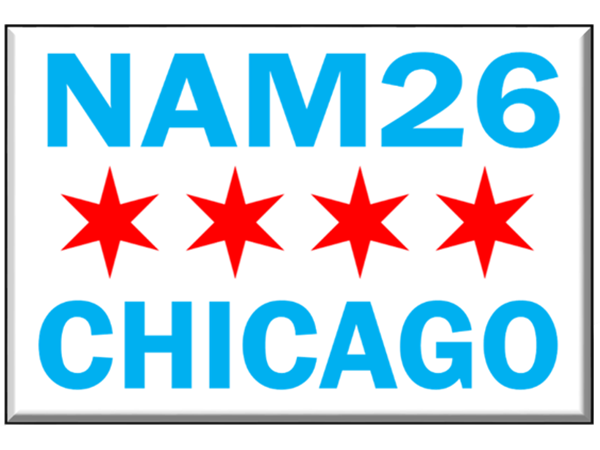 The Award will be presented at the 2014 Catalysis Club of Chicago Spring Symposium and consists of a plaque, a cash award of $1,000 and reimbursement for travel and lodging as a plenary speaker at the Spring Symposium. Great achievements of catalysis research in the past five years. For the year of 2014, the award will be given to an industrial researcher. Active member in catalysis community. A resident of North America. BP Products North America Inc.
2008 Dr. Aleksey Yezerets – Cummins Inc. Published on November 26, 2013 . Posted in News. We are pleased to announce that Professor Charles Campbell of the University of Washington is the recipient of the 2013 Robert Burwell Lectureship in Catalysis of the North American Catalysis Society, sponsored by Johnson Matthey and administered by The North American Catalysis Society. It is to be awarded biennially in odd-numbered years. The award consists of a plaque and an honorarium of $5,000. The plaque will be presented during the closing banquet ceremonies at the 2015 North American Meeting of the Catalysis Society. An additional $4,500 is available to cover traveling expenses in North America. Professor Campbell will present lectures at the local catalysis clubs and societies during the two-year period covered by this award. 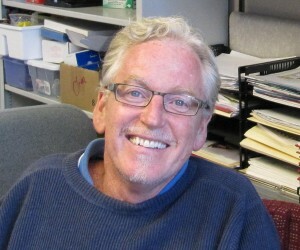 The Robert Burwell Lectureship in Catalysis is given in recognition of substantial contributions to one or more areas in the field of catalysis with emphasis on discovery and understanding of catalytic phenomena, catalytic reaction mechanisms and identification and description of catalytic sites and species. Professor Campbell is being recognized for bridging the gap between surface science and catalysis, for developing new concepts and tools in both disciplines, and for his service to both communities as Editor-in-Chief of Surface Science. His knowledge and his contributions over the last three decades have encompassed enormous depth and breadth. He has made seminal contributions in (1) developing methods to measure surface bond energies, specifically calorimetry using an apparatus developed by his research group and which currently ranks as the most sensitive heat detection tool for the study of model catalysts; (2) accurate measurements of the binding of metal atoms and nanoparticles to oxides, which has led to mechanistic approaches and fundamental treatments of catalyst sintering; (3) advancing and using microkinetic treatments of catalytic reactions, especially by providing many classic examples of how surface science can contribute to the understanding of catalytic mechanisms; and (4) formalizing the concept of ‘the degree of rate control’ to assess the extent to which individual steps in a catalytic sequence limit reactions rates. Published on July 5, 2013 . Posted in News and tagged Award. The Catalysis Club of Philadelphia is pleased to announce Dr. Daniel Resasco as the recipient of the 2013 Catalysis Club of Philadelphia Award, in recognition of his many contributions related to supported metal and solid acid catalysis, hydrocarbon conversion, nanotube synthesis, and biomass-derived compound upgrading. Prof. Resasco obtained his PhD in chemical engineering from Yale University in 1983 under the direction of Gary Haller. While at Yale, he co-authored a seminal work explaining strong metal-support interactions on Rh/TiO2 catalysts that subsequently became a Current Contents Citation Classic. After graduation from Yale, he joined the chemical engineering department of the National University of Mar del Plata, Argentina, eventually serving as department chair. In 1991 he returned to the US as Senior Scientist at the Sun Company, and in 1993 he joined the School of Chemical, Biological and Materials Engineering at the University of Oklahoma where he is now the George Lynn Cross Research Professor and Douglas & Hilda Bourne Chair of Chemical Engineering. Prof. Resasco’s research in heterogeneous catalysis has always aimed at important applications, but has been strongly grounded in fundamentals of structure-property relationships and characterization of catalysts and mechanisms. Initially, his research program examined strong solid acid catalysis and supported metal catalysis for hydrocarbon processing. In the late 90s, Resasco’s group began investigation of heterogeneous catalytic synthesis of single-wall carbon nanotubes, discovering that careful control of the catalyst nanostructure enabled unprecedented chiral selectivity in the nanotubes. Their work led to the patented CoMoCat process, capable of scaleup to industrial production, and a spinoff company, SouthWest NanoTechnologies. More recently, Resasco’s work on upgrading of biomass-derived compounds led to the development of Janus nanoparticle catalysts which simultaneously stabilize high interfacial area emulsions and carry out upgrading reactions in both the aqueous and organic phases. This work was initially reported in Science in January, 2010. Prof. Resasco has authored well over 200 archival journal articles which have been cited over 8,000 times, 32 industrial patents, and over 120 invited lectures. From 2001 – 2007 Resasco also served as associate editor of the Journal of Catalysis. Prof. Resasco will be honored with a plaque an honorarium ($1000) during his award presentation at the Catalysis Club of Philadelphia’s monthly meetings in the upcoming 2013-2014 season. Published on May 25, 2013 . Posted in News. Published on May 21, 2013 . Posted in News and tagged Obituary. 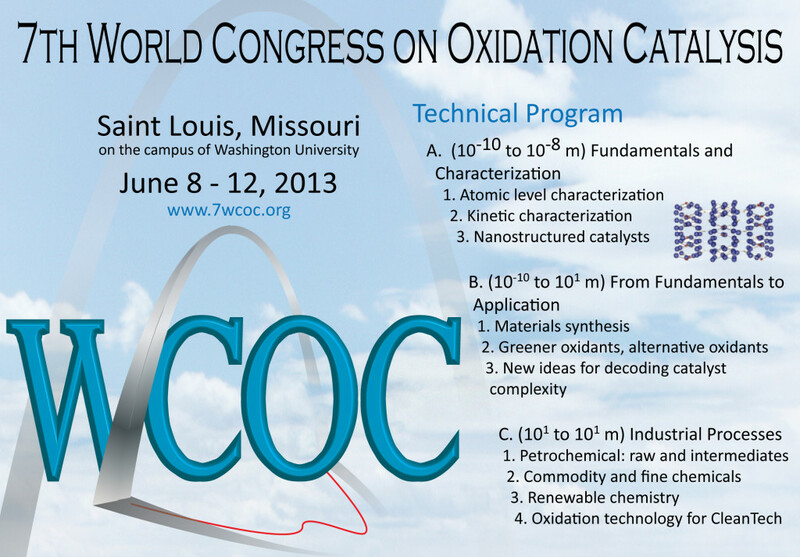 The 7th World Congress on Oxidation Catalysis aims to focus on the understanding of catalytic oxidation phenomena across time and length scales, taking together the fundamental phenomena that is most often the focus of academia with the processes and applications that drive industry. The session titled From Fundamentals to Application includes existing and nascent topics that bridge fundamental understanding to current and emerging technologies. For example, materials/catalyst preparation and design topics address the multifunctional nature inherent in oxidation process catalysts. Emerging alternative or “green” oxidants can be used in both heterogeneous and homogeneous processes to benefit selectivity. Chemical looping processes promise to eliminate the primary source of nitrogen oxides. A new session format is included with the goal of presenting new ideas and methodologies for decoding the complexity inherent in catalysis and catalytic processes. Presenters are encouraged to discuss exciting combinations of theory and experiment and the combination of multiple experimental techniques. Presentations will be scheduled early in the program with a discussion workshop to generate consensus on the current state and direction of the field. The oxidative catalytic applications important to industry in a great sense drive the fundamental work discussed above. The petrochemical processes focused on syngas generation/conversion, combustion, partial and selective oxidation, amines and C1 chemistry, along with processes for biomass conversion to fuels will be presented. Fine chemical and pharmaceutical production that generally employ homogeneous oxidations are covered among the subtopics of olefin and aromatic oxidation, epoxidation and the chemistry of radical species. Finally, the contribution of catalysis to environmental technologies such as VOC oxidation, wastewater treatment and autoexhaust catalysis will be presented. The Congress begins with a full day on Sunday, June 9th, and lasts through Wednesday June 12th. It will be held in Saint Louis, Missouri on the campus of Washington University. With Washington University acting as host the Congress is made quite economical and many will find the registration prices coupled with the availability of campus housing a pleasant surprise. The Congress dinner will be on Tuesday, June 11 and a group excursion to the top of the Gateway Arch will take place on Wednesday, June 12. For more information about the 7th World Congress, visit www.7wcoc.org. Published on May 2, 2013 . Posted in News. The Catalysis Club of Chicago is pleased to announce that Prof. W. Nicholas Delgass (Maxine Spencer Nichols Emeritus Professor of Chemical Engineering at Purdue University) is the recipient of the 2013 Herman Pines Award in Catalysis. This Award is given to recognize Prof. Delgass’ outstanding contributions to catalyst characterization, reaction and catalyst chemistry, and advanced catalyst design. Prof. Delgass first introduced the applications of Mössbauer spectra and XPS to the catalysis community. Prof. Delgass has served on the editorial boards of leading catalysis journals such as Journal of Catalysis and as chairs for international catalysis conferences. He is a gifted teacher, winning the Purdue School of Chemical Engineering Teaching Awarding for seven times. Prof. Delgass has been invited to give more than 190 lectures on national and international scientific meetings. He has published over 160 publications. The award includes an honorarium ($1,000) and a plaque. Prof. Delgass will receive this Award during the Catalysis Club of Chicago Spring Symposium on May 7, 2013 at BP Research Center (Naperville, IL). Prof. Delgass will deliver the Award address at the Symposium. Published on April 16, 2013 . Posted in Award, News and tagged CCC, Club.